The word ‘phenomenal’ is applied fairly liberally. But whether the latest teenage pop star or goal scored by a footballer in a big match is truly phenomenal (definition: exceptional, extraordinary), is a moot point. One undoubted phenomenon of the past 10 years has been the soaring popularity of Italy’s most famous sparkling wine, Prosecco. In 2013, for the first time ever, global sales exceeded those of Champagne with 307 million bottles sold against Champagne’s 304 million bottles. The success of Prosecco is easy to understand in many ways: its low price is a major factor that gives mass market appeal, especially with consumers who would baulk at paying £20 or £25 for a bottle of Champagne. But it’s not just about price: just like Pinot Grigio which has become such a pub and wine bar favourite, Prosecco’s style is generally easy and approachable. What it lacks in ‘seriousness’, it makes up for in fun and freshness. Though the vast majority of Prosecco simply cannot compare with Champagne in terms of complexity, ageing potential or the ability to express its terroir, there is another Italian sparkling wine that is considered by many to be the finest and most complex in Italy: Franciacorta. Unlike Prosecco, Franciacorta enjoys long secondary fermentation in bottle rather than tank, it is aged for many years before release, and it is based on the two great grapes of Champagne, Chardonnay and Pinot Noir. My first encounter with Franciacorta was in a restaurant in Puglia around 10 or 11 years ago. Franciacorta was basically unknown and rare as hen’s teeth in the UK at that time. Poured with great ceremony into a large wine glass rather than a flute, it was a revelation: rich, biscuity and complex, with deep and powerful flavours. It was pretty clear even then that Franciacorta could compete on quality with the world’s best ‘traditional method’ sparkling wines. Franciacorta’s history of making sparkling wine goes back only to the 1960s. 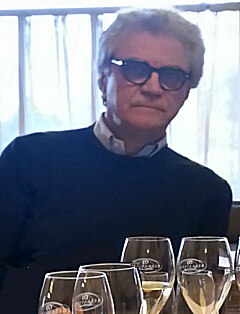 The Berlucchi estate made the first sparkling wine, one story suggesting that it was all a mistake: an incorrect order was delivered from a plant nursery, and finding themselves with a vineyard full of Chardonnay when they thought they’d bought Nebbiolo, they decided the best thing to do with it was make a sparkling wine. Whatever the truth of its origins, the style found almost immediate success. Franciacorta today is still a relatively small region with 2,700 hectares under vine and around 100 producers, but there has been considerable investment from Milanese industrialists and from outside the region, and its vineyard area has doubled in size in the past 10 years. Franciacorta was granted DOCG status – Italy’s highest designation – in 1995. 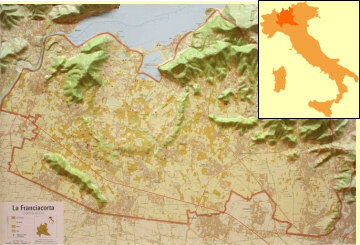 Franciacorta lies in Lombardy, sandwiched between Piedmont to the west and the Veneto to the east. It is a compact area, formed basically as a large amphitheatre with Lake Iseo forming its northern boundary and chains of hills that extend from the lake to the east and west of the region. The lake moderates the climate, whilst the hills protect the region from winds and, to a certain extent, frost. Soils here are mostly morainic, laid down by glaciers that formed the lakes and valleys. But over 60 different soil types have been identified, some rich in minerals and fossils. The climate is generally sunny and warm, moderated and influenced by the 25-kilometre-long body of water in Lake Iseo. Each morning of my spring visit was covered in a cool mist. Don’t tell a Franciacorta winemaker that he or she uses the ‘Champagne Method’. Even the more diplomatic ‘Traditional Method’ will get a frosty response. Enshrined into legislation is that these wines are made by the Franciacorta Method. A very powerful magnifying glass would be needed to spot the difference, but the winemakers are keen to point out that they have a region, a wine and a method all with the same name. It is perhaps no coincidence that the same trinity of place, wine and method nomenclature applies in Champagne. Satèn is the only term that may be unfamiliar to a Champagne lover. It refers to Blanc des Blancs wines, bottled at a slightly lower pressure (lower than 5 bar) to give a satiny mouth-feel. Vintage wines can have up to 15% of reserve wines from earlier vintages, and Riservas can be bottled as any style (including Satèn and Rosé) but with that long period on the lees. Zero dosage styles appeared to be very popular during my series of visits. This may be a top secret, as the information had to be prised from one reluctant winemaker, but there is work going on to introduce a fourth grape variety into the Franciacorta DOCG. The variety is called Erbamat, indigenous to the Lombardy region and with naturally low alcohol, plenty of acidity and low phenolics. Its introduction is being supported both from a marketing perspective – to make Franciacorta more distinctive – but the flavours and aromas are also regarded as potentially very interesting for sparkling wine production. Franciacorta enjoys a significantly warmer and sunnier overall climate than Champagne. The grapes harvested for the base wine are riper, with more potential alcohol. In Champagne, grapes are regularly picked at just 10% or 10.5% potential alcohol, whereas the Franciacorta winemakers I met quoted between 11.5% and 12.5% potential alcohol for their harvest. That gives these wines a richer, rounder character than Champagne typically, and sometime a slightly more phenolic character too. But the quality is remarkably high and remarkably consistent, with a beautiful fruit character as well as authentically biscuity autolysis and good levels of acidity. Though the focus of my visit and tastings was sparkling wines, the region does produce still white and red wines, designated not as Franciacorta but as DOC Curtefranca. Whites are made from the same varieties as sparkling Franciacorta, reds from Cabernet Sauvignon, Cabernet Franc and Merlot, as well as from Barbera and Nebbiolo. Mini-driving, tweed-wearing Joska Biondelli (right) speaks impeccable English (and with an impeccable English accent) thanks to several years spent working as a head-hunter in the City of London. The Biondelli family has been in Franciacorta for generations. Joska’s grandfather bought the estate as a countryside retreat, having made his fortune in the silk trade, though it began with a very small wine production for family use. It was Joska’s father, Carlottavio, who decided to take wine more seriously, changing from red wine production to Franciacorta in 2000. For the moment Biondelli produce only a Brut and a Satèn, but a vintage wine will be released from Christmas this year, to be followed by a rosé and, in the longer term, a Riserva. In the north of the region near the lake I was greeted at Barone Pizzini by Silvano Brescianini (right), CEO of the company and native of Franciacorta, whose grandfather made wines long before the region found fame with its sparkling wines. Trained as a sommelier, then a chef, his high-flying career took him to Michelin-starred restaurants and on to top New York restaurants, before returning to Italy to become a partner in Barone Pizzini in 1991. 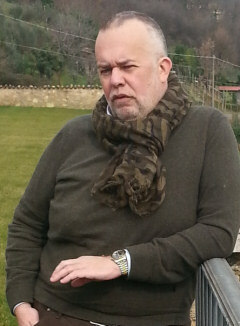 After his business partner was killed in a car accident in 1994, he became owner of the estate. Fermentation is 70% in stainless steel, plus 30% in barrels. “Barriques are important,” Silvano tells me, “as they allow small separate fermentations, with battonage, to extract flavour and sweetness for the base wines.” The company produces 250,000 bottles per annum. My next stop was at Villa, based near a hamlet of the same name that is in one of the most northerly and easterly zones of Franciacorta – 2º cooler on average than vineyards further south. In the 1960s Alessandro Bianchi retired to the village, and established the wine estate on its limestone soils. The terraced vineyards above the winery (right) were some of the steepest I saw on my visit. Producing wine since the 1960s, but sparkling wines only since 1978, this is an estate operation that does not buy grapes for its 250,000 bottle production. 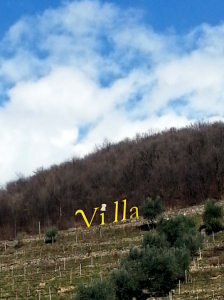 Villa produces only vintage Franciacorta wines, that is with at least 85% of each wine coming from a single harvest. The estate is dominated by Chardonnay, and any new plantings will be of Chardonnay in favour of Pinot Blanc. All fertilisers are organic, cover crops are sown between rows and biological pest controls are used. I toured the cellars, built into the hillside beneath the terraces. Wines are soft-pressed and fermented in stainless steel, though there is some barrel fermentation for some cuvées, but never constituting more than 30% of the final blend. Like many other estates they work with a selected Franciacorta yeast for fermentation, but they are working with the university of Florence todevelop a specific yeast for use in the Villa Franciacorta wines. Vinification of each plot is done separately, the estate’s philosophy being to “express the terroir: our plots are planted according to soil, exposition and age of vineyard.” At Villa all remuage (riddling) is done by hand. Majolini (pronounced My-o-lee-nee) is one of the most interesting visits in Franciacorta, Simone Maiolini (right) and his team having aligned the winery closely with local artists and the fashion industry, so a fascinating exhibition of artworks and installations is arranged around the cellar. The Majolini/Maiolini discrepancy is explained immediately: Majolini is the estate, named after the Majolina grape variety that grows on the property. It is an extremely rare but historic and indigenous red wine variety, from which they produce around 300 magnums “in perfect years.” There are fewer than 1,000 plants in Italy, of which Majolini has 500. The Maiolini family has been in the area since the 15th century, and believes the family name was taken from the grape variety. Simone’s grandfather started producing wine but his children did not continue. Winemaking was revived by his uncle in 1981, “this time not as a hobby, but as a business.” It is a beautiful estate. Sitting above the valley, its 26 hectares of vineyard are divided into 28 plots. 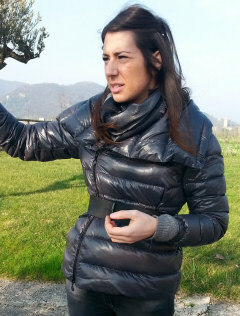 Simone explains that the limestone soils here are high in minerals and give a lot of acidity. 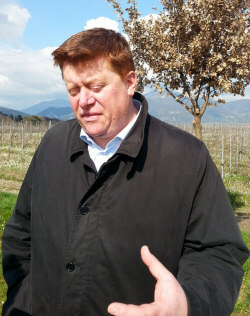 “We couldn’t release a wine after 18 months on the lees – that acidity means they need significantly more.” He also picks early – he thinks maybe the earliest in Franciacorta – and with those soils and some vineyards at 400 metres elevation, potential alcohol at picking can be as low as 9.5%, ranging up to 11.5%. Simone trained under a winemaker from Champagne Jacquesson and says “I have a little bit of Champagne in my soul.” Each plot is harvested according to its own characters, and each is vinified separately. The estate is in the first year of conversion to organic farming and Simone expects they will start to label as organic in another three or four years, after certification. The cellars, built in 1997 and greatly extended in 2004, really are worth a visit for that excellent art collection – as well as to taste the wines of course. One of the big names of Franciacorta (and one of fewer than a handful of estates whose production reaches one million bottles), Bellavista takes its name from the hill on which it sits, surround by 190 hectares of vineyard divided into 107 plots, each of which is vinified separately. Started by construction company owner Vittorio Moretti, I met up with long-time winemaker Mattia Vezzola (right) to taste through the wines. “Bellavista was planned from the beginning, only using fruit from its own estate vineyards, so that we could maintain the quality of our own production,” Mattia tells me. “Our harvest is late,” he continues, “and fully ripe. We are not looking for high acidity, but for fully developed flavours. Pressing is very soft, but the result of every pressing is tasted, so the best and most powerful wines go to barrel, the rest to stainless steel.” Indeed every wine in the Bellavista portfolio has some barrel component, with their 1600-barrel cellar certainly the biggest I saw on my tour. 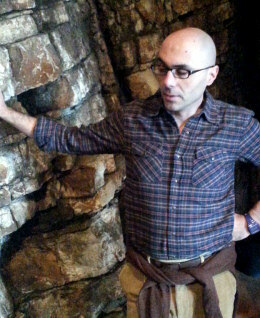 “But the barrels are mostly very old – 20 years old often – the purpose is micro oxygenation not flavour or aroma,” says Mattia. An estate owned by the Gussalli-Beretta family, undoubtedly best known for their Beretta firearms company, manufacturers of guns for 15 generations and founded in the 1400s just a few miles away in the town of Valtrompia. This is one of three estates they own (with others in Chianti and Abruzzo), where 30 hectares of the 150-hectare estate are planted to vine. Like many it would seem, the vineyards are currently in conversion to organic farming, the entire estate in its second year of conversion. I was greeted by brand manager for the Beretta estates, Costantino Antonio Gabardi (right) who explained that the vineyards are amongst only around 10% of the region with clay and limestone soils. Planted at 400 metres, Costantino explained that freshening winds blow through the vineyards, especially at night, which means very little treatment is needed for the vines. They can also harvest later than much of the region, because it is particularly cool here. “We believe we are seeing a gradual change to that through global warming,” he tells me, “but we still harvest around two weeks later than average, and never before 25th August.” Costantino also tells me Lo Sparviere was one of the first estates to produce Franciacorta, operating since the 1970s on what had previously been a dairy farm. The winery and vineyards lie around an ancient, 16th century manor house that has been beautifully restored by the Beretta family. It is from a carving above a fireplace that the company’s name (Lo Sparviere translates as “the sparrow hawk”) and logo originates. La Montina is a beautiful estate, based around a 16th century house that once belonged to Pope Benedetto Montini. The estate was bought in 1987 by three brothers, Vittorio, Gian Carlo (right) and Alberto Bozza. 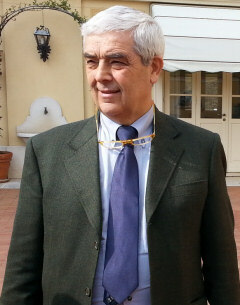 Gian Carlo had worked for Berlucchi, now Franciacorta’s largest producer, but in fact the family has long roots in the Brescia area of Lombardy. The brothers’ father and grandfather were both involved with wine in the region, and their grandmother ran a local ‘Osteria’. 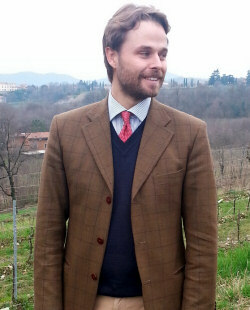 Modern, guyot-trained vineyards are planted, mostly in accordance with a zonal study begun by the Franciacorta Consorzio in 1992, define the wine suitability of the entire Franciacorta area, that studies and evaluates the soils and landscape of vineyard areas, and what effect that has on quality and productivity. Only chardonnay is used in La Montina, where production is close to 500,000 bottles annually from their gravity-fed winery. Gian Carlo told me that they always use a proportion of barriques for fermentation and ageing, up to 30 percent in some cuvées. This is also another house that believes in reserve wines, with again up to 30% of any cuvée being reserve wine from previous harvests. Sadly, an early flight back to the UK meant I did not have time to visit La Valle, though they were the last stop on my itinerary. However, La Valle was kind enough to send over samples of its six wines for me to taste back in the UK, so the tasting notes are included here. La Valle is owned by the Pezzola family and takes its name from the winery’s main property, La Valle, bought by the family’s ancestors in 1890. In 1990 Eugenio and Giulia Pezzola founded the winery exclusively for the production of Franciacorta. 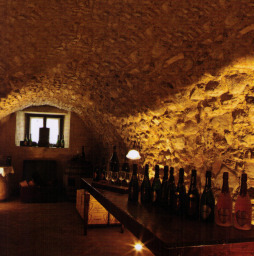 In 1993 the first 3,000 bottles of the millésime were produced, and each of the wines in the range has been given a Latin name “reminiscent of the time when wine was the protagonist of incredible feasts.” The wine-cellar beneath an ancient manor house (right) dates back to the 1400s, though in 2010 a new wine cellar (“a model of innovative modern technology”) was opened. There were opportunities to taste wines from other estates during lunches and dinners, so here are five very interesting wines – including a 1979 Franciacorta from Ca’ del Bosco. The bottle was brought straight to the restaurant from the cellar and disgorged ‘live’ and with great ceremony on the balcony of the restaurant. It was a splendid wine, and the one minute video below shows the disgorgement live as it happened.